Professionally, I am a certified Reflexologist since 1985, with advanced classes and multiple certifications. I love my Reflexology work and love that it helps others in so many ways. Self-help reflexology helped me so much that in addition to giving private sessions, I teach classes on it and made a great DVD on self-help reflexology. 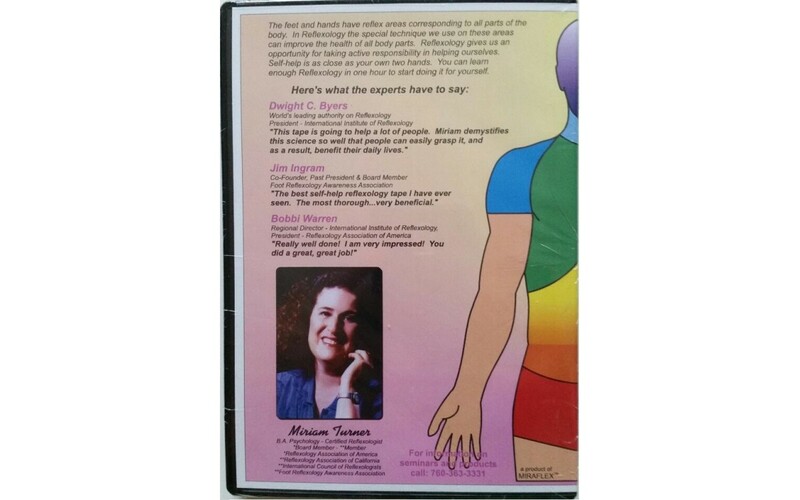 I teach to the lay person, demystifying Reflexology. I love how Reflexology is so natural and basic; that the hands and feet reflex to help the whole body. I expect more people to discover Reflexology and learn that it is amazingly worthwhile. One reason it works so well is that our hands and feet are a reflection of the body, as likewise we are a reflection of the higher. With self-help reflexology I feel great, having solved my severe allergies, hypoglycemia, tiredness, aches and pains. Reflexology is also great for maintenance and prevention, along with general life style improvements. I will teach you how to do self-help reflexology, in general and for specifics, on hands and feet. I will help you take advantage of the fact that the hands and feet reflex to help the whole body, all body parts. And whether it helps your energy, helps relieve your pain, helps you sleep, etc., it will be helping your body to heal itself. While gaining relief and relaxation, you will learn that Reflexology is basic, simple and natural. Reflexology is famous for pain relief, energy, relaxation and circulation. Reflexology can be a superb health alternative and is complementary when used along with other modalities. I explain how to do a full reflexology session on yourself, searching for the reflex areas you personally need. You will feel them. You can understand the reflex chart and learn to help specific body areas. You will learn to help yourself with this incredibly wonderful health modality. With questions and answers I'll teach you for your individual reflexology needs. I like relating to other people and find it fascinating to solve the mysteries within myself. I enjoy meditating, reflexology work, family and friends, reading about spiritual and physical health and improving my lifestyle. I appreciate the grateful thanks from students and clients and look forward to hearing from you. Thank you for reading the blog post. Please write any self help reflexology questions in the comment section.